This somewhat austere book can be read in parallel with the much lighter Bruno Latour and Emilie Hermant (1998), Paris ville invisible, which tries to cover much of the same ground through a succession of photographic essays. 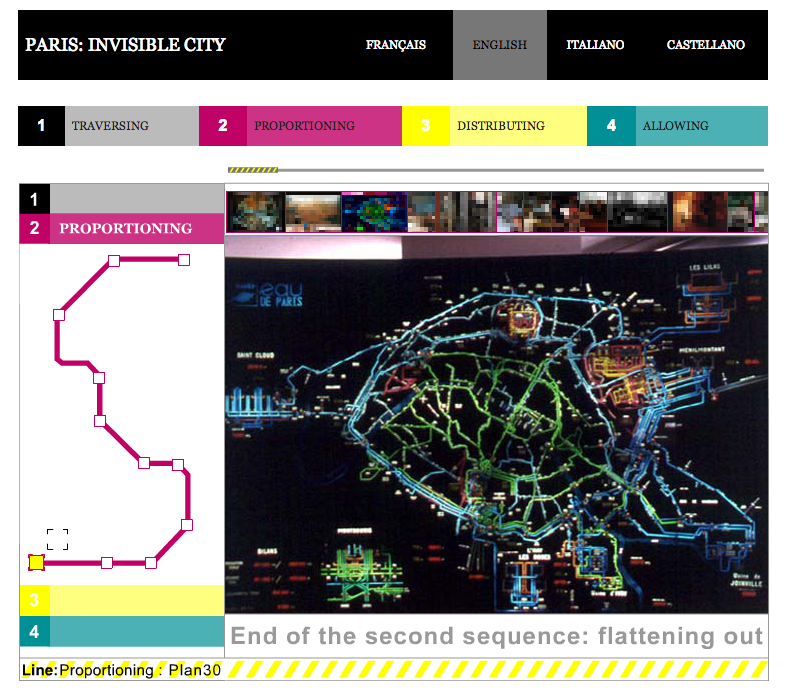 It’s available online in English (Paris the Invisible City) link. This multimedia essay is fascinating, and equally so for the suggestion that it somehow illustrates the main ideas of Reassembling the Social. Since those ideas are fundamental to “actor-network theory” and to the theory of assemblage, it is worthwhile spending some time on the multimedia essay. The aim of this sociological opera is to wander through the city, in texts and images, exploring some of the reasons why it cannot be captured at a glance. Our photographic exploration takes us first to places usually hidden from passers-by, in which the countless techniques making Parisians’ lives possible are elaborated (water services, police force, ring road: various “oligopticons” from which the city is seen in its entirety). This helps us to grasp the importance of ordinary objects, starting with the street furniture constituting part of inhabitants’ daily environment and enabling them to move about in the city without losing their way. It also makes us attentive to practical problems posed by the coexistence of such large numbers of people on such a small surface area. All these unusual visits may eventually enable us to take a new look at a more theoretical question on the nature of the social link and on the very particular ways in which society remains elusive. We often tend to contrast real and virtual, hard urban reality and electronic utopias. This work tries to show that real cities have a lot in common with Italo Calvino’s “invisible cities”. As congested, saturated and asphyxiated as it may be, in the invisible city of Paris we may learn to breathe more easily, provided we alter our social theory. If one wants to work through the presentation it is necessary to download the PDF that contains the text of the essay, to be read in conjunction with the photography and images at each stop (link). Now we are ready to run the multimedia version (link). 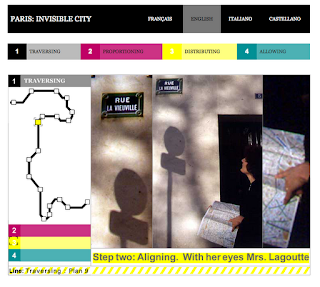 With her eyes Mrs. Lagoutte looks at the name “rue la Vieuville” in white letters on a blue background. With her forefinger she points at the same name “rue la Vieuville” in bold type on the map she’s holding with her other hand. With a quick movement of the chin she accommodates her gaze to these two very different texts: one, written diagonally on the page, is 1mm big and requires short-sightedness; the other, horizontal, is 6cm high and requires long-sightedness. A miracle! The two match, letter for letter, despite the glaring differences. She’s arrived! This is the street she was looking for… and here’s number five! In a single glance at her map she embraces the entire eighteenth arrondissement. By lifting her head she sees only a white wall, very much like all the others, that she couldn’t have identified without having been born in the neighbourhood or living there for a long time. Fortunately she also sees the street nameplate and the name written on it. What does she see? What is she touching with her forefinger? The reader navigates the presentation by choosing “Traversing,” “Proportioning,” “Distributing,” and “Allowing” on the top bar, and then navigating from Plan to Plan in the sidebar. It is possible, of course, to go through the presentation in a fully linear mode; but it is also possible to jump easily from “Traversing” to “Distributing” or from Plan to Plan. So go ahead — take the journey and come back for some discussion! So what does the production show us? What has Latour illustrated in this work that “covers much the same ground” as Reassembling the Social? Here are a few fairly superficial observations. First, the presentation highlights “invisibility” — the fact that this complex social scrum is partially visible, but partially hidden, no matter what perspective we take. Second, the issue of scale is constantly under scrutiny. We zoom from micro to macro to meso and back constantly through the presentation. 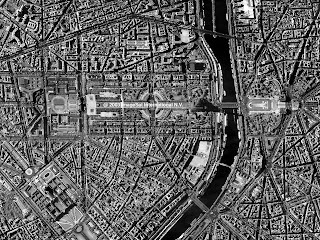 Third, the notion of “representation” is key: maps, street signs, department store panoramas, satellite images. This is a “knowledge-reality” problematic: what is the status of the knowledge (veridical representativeness) of the map or the satellite image? Fourth, there is a persistent attention to technical knowledge and technical specialists throughout the essay: infrastructure specialists, computer experts, GIS technicians, schedulers, drainage specialists, traffic engineers, … And much of what they do falls on the “invisible” end of the spectrum for most observers. Fifth, there is a recurring theme of “composition” — the idea that the social scrum of the city is an amalgam. 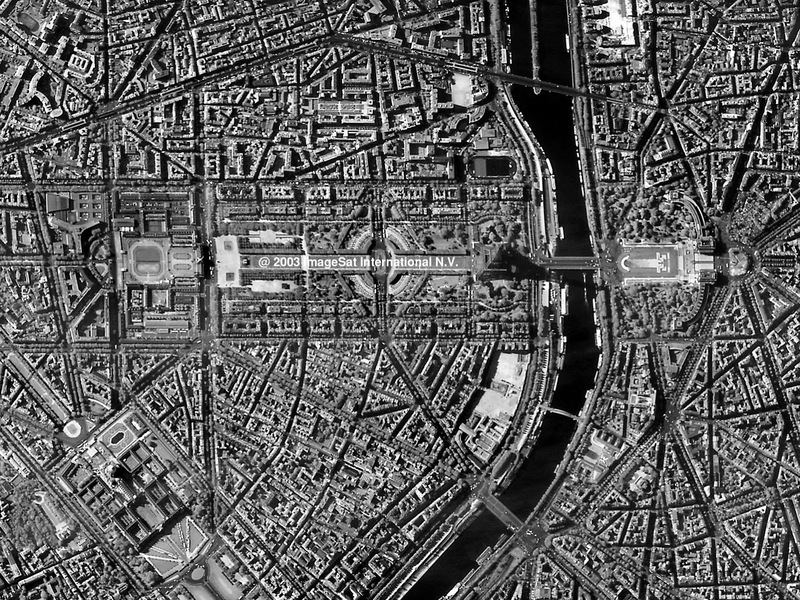 “In this sociological opera we’re going to move over from the cold and real Society to warm and virtual plasma: from the entire Paris set in one view to the multiple Parises within Paris, which together comprise all Paris and which nothing ever resembles” (Plan 4). There is a recurring and seemingly important use of temperature — hot, cold — as a scale for considering social situations and “data”. “At low temperature we have the impression of an isolated and fragile passer-by circulating in a frame that’s older, harder and bigger than himself” (Plan 26). This is a fascinating and open-ended piece of work — not philosophy, not sociological theory, not pure artistic creativity; and yet some of all of this. Do other readers have their own interpretations of the work and its significance within ANT theory and the theory of assemblage?